One of the releases I was really looking forward to, was this third album of the Israeli progressive metal band Distorted Harmony. After their second release; Chain Reaction (2014, see review) I was lucky enough to be present at a few shows The last time I saw them, second guitar player Amit Plaschkes was introduced next to the original line up of: vocalist extraordinaire Misha Soukhinin, guitarist Guy Landau, keyboard player Yoav Efron, bass player Iggy Cohen and drummer Yogev Gabay. A while after the show the band parted ways with initial guitarist Guy Landau and added Yoel Genin to the line-up to replace him. In this new setting, A Way Out was recorded, with the only other notice, vocalist Misha opted for a more international sounding name; Michael Rose. For me as a guitar orientated music aficionado, the change of a guitar player in a band can be of great significance, in the past bands have kind of lost my interest when their axeman was replaced by a less interesting sounding one. On the other hand sometimes a meaningless band caught my attention when a decent guitar player was introduced. So the line-up chance does matter to me and I was very curious how this would affect the new Distorted Harmony album. Regarding the music on A Way Out, the change I wrote about above surprisingly did not really affect the significant musical style of Distorted Harmony, The lush keyboards remain, only to have added even deeper orchestrated elements, drums and bass remain solid and adventurous and have incorporated their playing even more into the compositions. Michael's vocal range has only expanded. From smooth and emotional in Puppet On Strings, where delicate electronics have found their way into Distorted Harmony's music, to the really angry screams in Room 11. Both guitar players are perhaps a bit more dominant as the sole guitar player on both previous CDs and exchange heavy djenty riffs, but also easily change to mellow parts to accompany the dedicated vocals. Guitarist Yoel has brought in a nice fusion touch to the music, but keeps this element to a minimum during the compositions. I guess his fusion mode is fully explored on the Hago album, a band where he participates in together with drummer Yogev. But that's another review to be written. The eleven tracks on the album are a perfect balance between powerful metal parts and more melodic smoother emotional parts, making this a very personal album. Main songwriter Yoav Efron gives you an insight about his personal feelings in his head and turned them in the most beautiful songs. 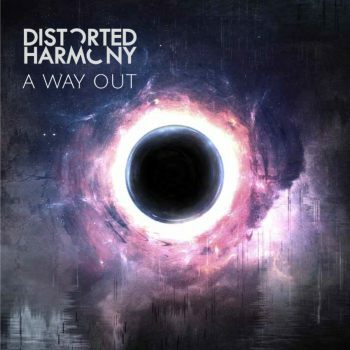 In the end I think Distorted Harmony have created another brilliant album, composition wise the bar has risen another few levels; where I thought, the previous album already was more than brilliant. In my opinion, the whole progressive metal world should be obligated to listen to this absolutely amazing album. An album that marks the number one spot of 2018 so far.